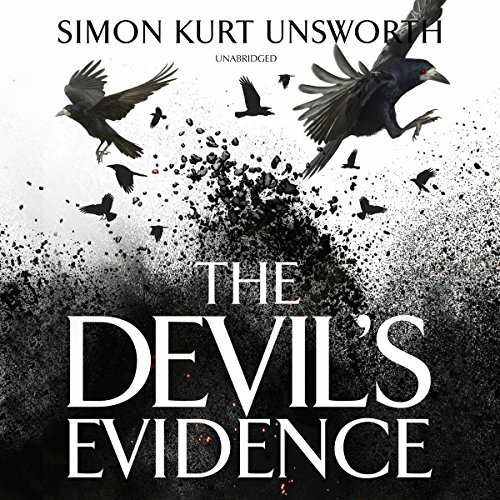 Debut novelist Simon Kurt Unsworth sends the detective novel to Hell. In The Devil's Detective, a sea change is coming to Hell... and a man named Thomas Fool is caught in the middle. Thomas Fool is an Information Man, an investigator tasked with cataloging and filing reports on the endless stream of violence and brutality that flows through Hell. His job holds no reward or satisfaction, because Hell has rules but no justice. Each new crime is stamped "Do Not Investigate" and dutifully filed away in the depths of the Bureaucracy. But when an important political delegation arrives and a human is found murdered in a horrific manner - extravagant even by Hell's standards - everything changes. The murders escalate, and their severity points to the kind of killer not seen for many generations. Something is challenging the rules and order of Hell, so the Bureaucracy sends Fool to identify and track down the killer.... But how do you investigate murder in a place where death is common currency? Or when your main suspect pool is a legion of demons? With no memory of his past and only an irresistible need for justice, Fool will piece together clues and follow a trail that leads directly into the heart of a dark and chaotic conspiracy. A revolution is brewing in Hell... and nothing is what it seems. 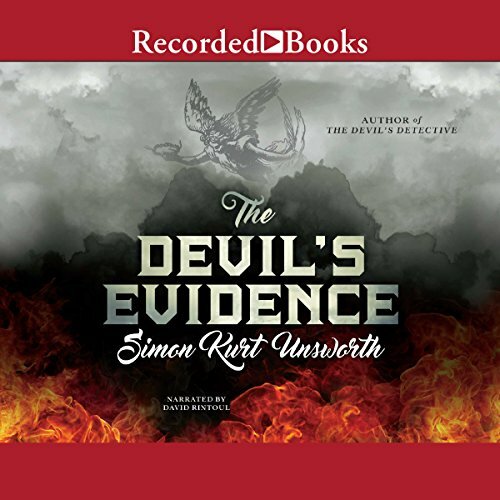 The Devil's Detective is an audacious, highly suspenseful thriller set against a nightmarish and wildly vivid world. 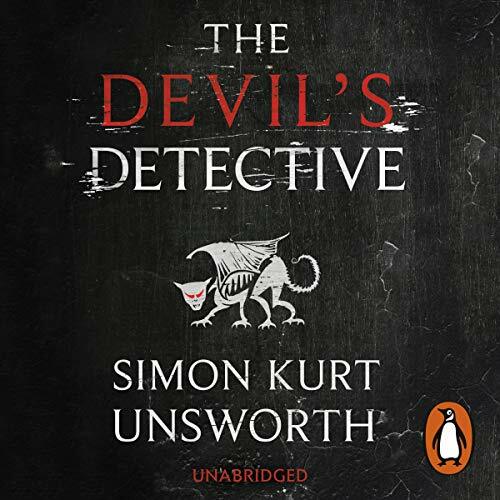 Simon Kurt Unsworth has created a phantasmagoric thrill ride filled with stunning set pieces and characters that spring from our deepest nightmares. It will have listeners of both thrillers and horror hanging on by their fingernails until the final word. In Hell, hope is your worst enemy. Thomas Fool is an Information Man, an investigator tasked with cataloging and filing reports on the endless stream of violence and brutality that flows through Hell. His job holds no reward or satisfaction, because Hell has rules but no justice. Each new crime is stamped "Do Not Investigate" and dutifully filed away in the depths of the Bureaucracy. But when an important political delegation arrives and a human is found murdered in a horrific manner - extravagant even by Hell's standards - everything changes. 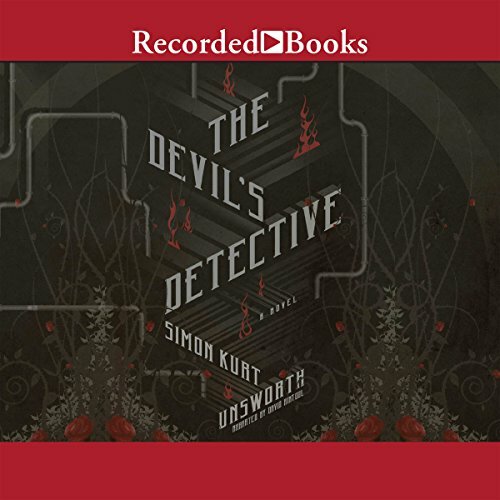 Thomas Fool - the resilient investigator doomed to catalog hell's atrocities in Simon Kurt Unsworth's stunning debut, The Devil's Detective, is back. The man with no memory of who he was or what led to his damnation is now in command of the Information Office of Hell. This power has only inspired new deadly enemies like Mr. Tap, the cunning leader of a shadowy organization known as the Evidence. Fool alone has survived the wrath of both demon and angel, and now he faces his most thrilling and complex challenge.